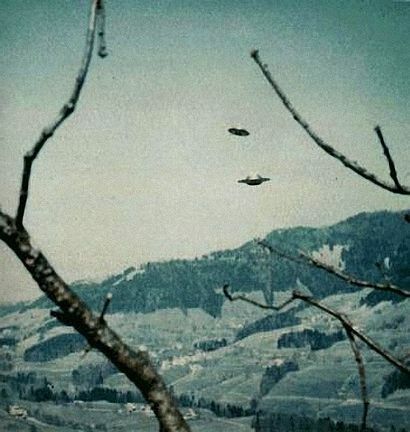 UFOs - Nazi Germany World War 2 Section. Nazi UFOs are advanced aircraft Nazi Germany developed. Nazi UFOs (German: Haunebu, Hauneburg-Geräte, or Reichsflugscheiben) are advanced aircraft or spacecraft that Nazi Germany supposedly developed during World War II and Nazi scientists continued to develop afterwards. These craft appear not only in fiction but also in various historical revisionist writings. They often appear in connection with esoteric Nazism, an ideology that supposes the possibility of Nazi restoration by supernatural or paranormal means. Nazi UFOs were built by the Nazis. Nazi Germany claimed the territory of New Swabia, sent an expedition there in 1938, and planned others. Nazi Germany conducted research into advanced propulsion technology, including rocketry and Viktor Schauberger's turbine work. Early references to Nazi UFOs. The earliest non-fictional reference to Nazi flying saucers appears to be a series of articles by and about Italian turbine expert Giuseppe Belluzzo. The following week, German scientist Rudolph Schriever claimed to have developed flying saucers during the Nazi period. Aeronautical engineer Roy Fedden remarked that the only craft that could approach the capabilities attributed to flying saucers were those being designed by the Germans towards the end of the war. Fedden also added that the Germans were working on a number of very unusual aeronautical projects, though he did not elaborate upon his statement. Nazi UFOs revisionist claims of the Vril Society. A 1967 book by Louis Pauwels and Jacques Bergier made many spectacular claims about the Vril Society of Berlin. Several later writers, including Jan van Helsing, Norbert-Jürgen Ratthofer, and Vladimir Terziski, have built on their work, connecting the Vril Society with UFOs. Among their claims, they write that the society had made contact with an alien race and dedicated itself to creating spacecraft to reach the aliens. In partnership with the Thule Society and the Nazi Party, it developed a series of flying disc prototypes. With the Nazi defeat, the society allegedly retreated to a base in Antarctica and vanished. Terziski, a Bulgarian engineer who bills himself as president of the American Academy of Dissident Sciences claims that the Germans collaborated in their advanced craft research with Axis powers Italy and Japan, and continued their space effort after the war from New Swabia. He writes that Germans landed on the Moon as early as 1942 and established an underground base there. When Russians and Americans secretly landed on the moon in the 1950s, says Terziski, they stayed at this still-operating base. According to Terziski, "there is atmosphere, water and vegetation on the Moon," which NASA conceals to exclude the Third World from moon exploration. Terziski has been accused of fabricating his video and photographic evidence. Nazi UFOs and Ernst Zündel. When German Revisionist Historian Ernst Zündel started Samisdat Publishers in the 1970s, he initially catered to the ufology community, which was then at its peak of public acceptance. His main offerings were his own books claiming that flying saucers were Nazi secret weapons launched from an underground base in Antarctica, from which the Nazis hoped to conquer the world. Zündel also sold (for $9999) seats on an exploration team to locate the underground base. Some people who interviewed Zündel about this material claim that he privately admitted it was a deliberate hoax to build publicity for Samisdat, although he still defended it as late as 2002. Nazi UFOs and Miguel Serrano. In 1978 Serrano, a Chilean diplomat and Nazi sympathizer, published The Golden Band, in which he claimed that Adolf Hitler was an avatar of Vishnu and was then communing with Hyperborean gods in an underground Antarctic base. Serrano predicted that Hitler would lead a fleet of UFOs from the base to establish the Fourth Reich. Joscelyn Godwin. Arktos: The Polar Myth in Science, Symbolism, and Nazi Survival. Adventures Unlimited Press, 1996. 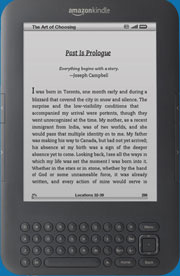 ISBN 0-932813-35-6. Christopher Partridge. UFO Religions. Routledge, 2002. ISBN 0-415-26324-7. Branton (Bruce Alan Walton) The Omega Files: Secret Nazi UFO Bases Revealed (April 15, 2000 ISBN 1-892062-09-7). Henry Stevens. Hitler's Flying Saucers: A Guide to German Flying Discs of the Second World War (February 1, 2003 ISBN 1-931882-13-4).